What a fantastic day! 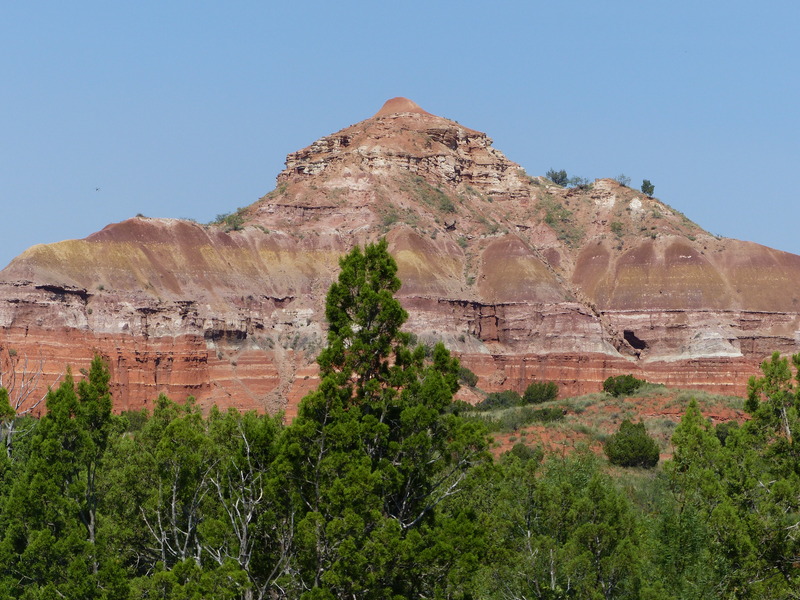 Leaving Amarillo this morning we took a side trip to Palo Duro Canyon State Park. It is the second largest canyon in the U.S. after the Grand Canyon, and we hadn’t even heard of it until we arrived in the hotel in Amarillo. It was breathtaking. Unlike the Grand Canyon, cars are able to drive to the bottom of the canyon, which gave us fantastic views and photo opportunities. We signed up for zip lining across the canyon, and the plan was for Joe to tandem with Dan. However, when we got to the top of the platform it was too scary for Joe. But hey, look at me go! Such a shame! 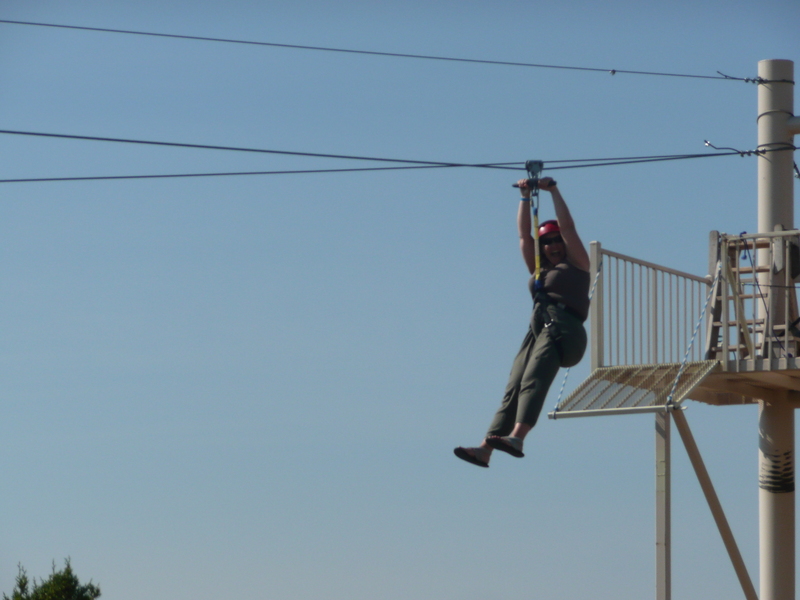 The ziplining was great, and the rest of us had a blast – great views and great times. One of many fantastic views of the canyon. We have a couple of days in Albuquerque, and desperately need a day off from driving! After the cold summer we Canadians had, the temps of 38 C and full sun feels wonderful. Previous PostDeep in the heart of TexasNext PostRoad Trip! June! You are awesome! Cross that off the bucket list. How cool is that view! All the best and Happy Labour Day! Looks like an exciting trip so far! Finn and Syd started school today which made us think of Joe… so strange to not see him at Masonville! Just wanted to let Joe know we missed him today. Thanks Claire. The boys started “school” here too today, but it’s very different (and quiet) for them. I know Joe is missing everyone, but he is also having a blast seeing so many new things!